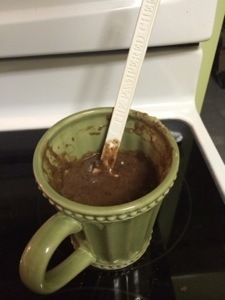 In place of dairy milk I used soy milk. Only because I bought some and the use by date is coming up quickly. 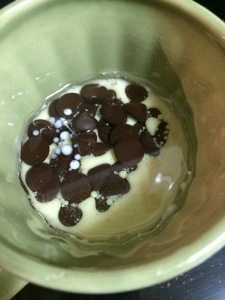 I also used dark chocolate chips instead of milk chocolate. Because that’s healthier. 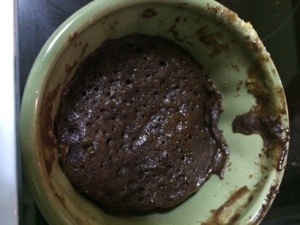 And that’s exactly what brownies are about is health. I also used only 2 Tbsp of oil. 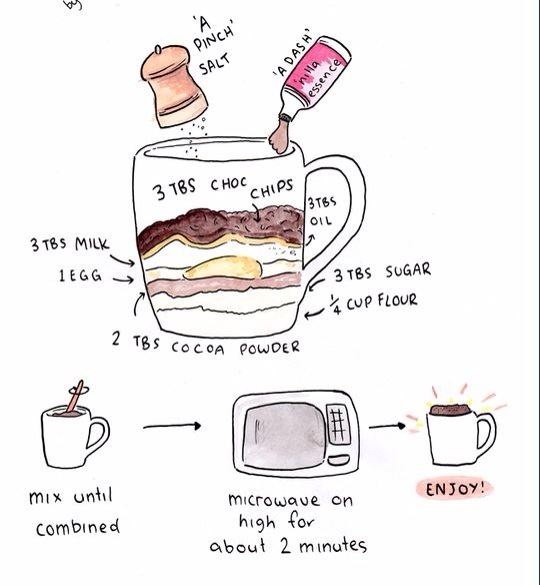 Ooh looks like brownie batter! Ok– a little spongey but the texture isn’t too bad. With ice cream it would be pretty spectacular. 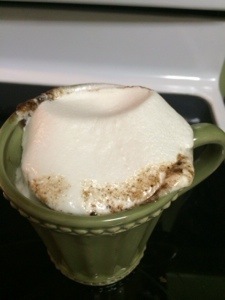 I don’t have any ice cream, so I throw a marshmallow on top of the next mug.